Tier3MD provides a comprehensive helpdesk for medical practices and businesses. Tier3MD has a fully qualified helpdesk for medical practices and businesses. Our staff has extensive healthcare experience. The Tier3MD helpdesk currently supports over 10,000 users nationwide and over 300 applications. The Tier3MD helpdesk provides a single point of contact for your users to gain access for assistance in troubleshooting, getting common questions answered, and solving various issues. We manage our helpdesk with one of the industry’s leading helpdesk management/ticketing systems. Our HIPAA compliant tools allow us to view your computer screen to help solve your IT issues. Gone are the days where you have to wait for an engineer to travel to your office. With our tools, we can quickly remote in and help you resolve your problem. Our staff has worked with practices that have various EMR’s such as Allscripts, NextGen, eCW, Centricity, AdvancedMD, MicroMD, Greenway, Intergy and more. The Tier3MD helpdesk staff is constantly trained on new technology. We employ tier1, tier2, and tier3 support staff so all knowledge levels are covered. Tier3MD has certified Engineers on the helpdesk answering calls from all over the country. If you are a single IT person, small IT company, or a large IT company, our helpdesk can do the work for you. We are fully staffed and are able to scale up quickly if needed. Having a helpdesk doing remote support can save you 1-2 full time employees, plus expedite the resolution. Our helpdesk employs Tier 3 level helpdesk technicians. Many small businesses would like to expand to offer medical IT support but do not have the experienced resources. With Tier3MD, we can give you that experience to help you expand your existing IT company, or small business. Contact us for helpdesk services for your practice, or small business. 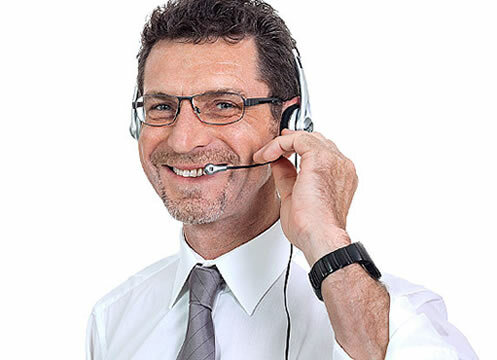 Our Live Chat button will instantly connect you with one of our U.S. based helpdesk representatives. The IT help desk provides a centralized location to deal with technical issues. Staff doesn’t have to wonder if they should call a particular engineer or programmer or member of the support team. They simply dial the IT help desk with the knowledge that they are trained to handle complex problems. An IT help desk can make sure that issues are handled in the order they are received by generating tickets for your staff. Our helpdesk ticketing system helps us quickly handle tickets and logs the time the ticket came in, who it was assigned to, time spent and resolution information. Our ticketing reports provide very comprehensive historical data. The staff of an IT help desk can be trained on a common set of procedures. This provides a systematic approach for when they have to handle technical issues – they’ll start with the most common solution, and move on from there. This tends to solve problems much better than trying out different things at random to see if they work. The IT help desk staff meets regularly to discuss common issues, procedures, and better ways to effectively escalate tickets, and resolve them in a timely manner. Collaboration is a valuable asset to the helpdesk support team – Our engineers are constantly collaborating so that we can make sure we are providing the best support possible. The IT help desk can use the information they gather on a daily basis to run performance reports. These can then show which computer systems and pieces of hardware are consistently experiencing bottleneck issues. The company can then be proactive about replacing them (provided it’s within the budget) and not have to worry about the system suddenly going at an inopportune time. It can often be difficult to accurately judge job performance. An IT help desk can manage this issue by sending out automatic surveys after an issue is concluded. If the IT staff took too long to solve the problem or behaved in an unprofessional manner, the survey will reflect that. Tier3MD sends out surveys after the ticket resolution process. 7) Saves Your Company Time and Money – Need I Say More? The Tier3MD helpdesk, minimizes the need to hire extra IT staff. Our fully staffed helpdesk is available to take your calls, and initiate a fast resolution. Our helpdesk support allows for all skill levels to assist at no additional charge. – Sometimes, it may take another set of eyes, or a little more experience to help you with your issue. No problem! We got it!